How to make Jello Shots. 6 Easy Steps plus the essential Alcohol Ratio Guide. 6 Easy Steps to the perfect Jello Shot. Jello shots are a favorite with party goers, but there are a few critical steps that you need to know so that they turn out right. Making the perfect Jello Shots is as simple as following a few easy steps. The secret is to get the vodka to water ratio perfect - there's a handy guide included here to get the ratio just right! Make sure you follow the Vodka Ratio Guide below to ensure that you and your guests can enjoy the perfect party jello shots every time. Cheers! Turn your regular jello shots into a gourmet delight! This recipe makes up about 32jello shots. Firstly you need to gather the following ingredients. Place your base mixture in the fridge to cool and wait til it is really chilled before you take on the next step. It is essential that the mixture is really well chilled because alcohol evaporates at 78.6 degrees Celcius / 173 Fahrenheit. Therefore when you add the hot water jello mixture in step 5, it may reach evaporation point if you are not mixing it in with a well chilled base mixture. Boil some water in a pot or kettle, and add exactly 1 cup of boiling water to your powdered jello. Stir well until it is dissolved. It will look quite clear when it has dissolved. Pour the combined mixture into your jello cups, place on a tray and chill in the fridge for 3-4 hours. Serve chilled! And that’s all there is to know about how to make jello shots, happy partying! Turn jello shooters into works of art! It's very important to get the alcohol ratio right or your jello shots won't set firmly. Your mix will depend on the strength (proof) of Vodka that you will be using. This is critical to make sure the jello will set in the shot glasses. Use your imagination to create multi-colored jello shots. 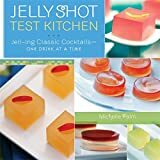 The first time we tackle a new task always feels a little strange, but learning how to make jello shots is not really that difficult to master. In fact the hardest thing to get right is the ratio of vodka to water, to ensure your jello shots set firmly. Your imagination and taking a little time to produce your creations will make all the difference, and your friends will certainly appreciate it. Why not make multiple coloured Jello Shots to add to the festivities. It is so easy to turn a mundane (but nonetheless enjoyable) Jello shot into a Gourmet surprise. Imagine a second burst of flavor when you find the surprise center. 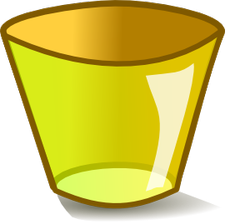 All you do is add a segment of fruit into the shot 'glass' before it cools and sets hard. There is one thing to remember though: You don't have to follow this rule, but it makes sense to add a segment of orange to an orange jelly base; a cherry to a cherry flavored mix and so one. Just watch the video above to find out more about how it's done properly. Of course if you are a bit of a prankster you might consider disguising a piece of lemon in a dark grape jelly for maximum effect! The responsible service of alcohol. Please consider that each shot is roughly equivalent to one standard drink. Be aware that you should limit your consumption and that of your guests, to avoid regretful situations which may occur as a result of too much alcohol. Never drink and drive. Find out the secret to a great Vodka punch. Your guests will want the recipe! How to produce outstanding home made wines while saving money with wine kits. Learn how to make drinks with vodka - here's the 4 most popular recipes. Please leave a comment I'd love to hear from you!